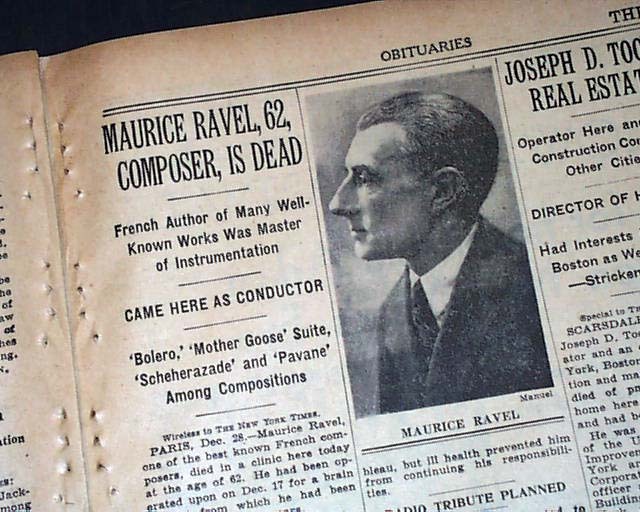 Home > Maurice Revel death... French composer & pianist..
Maurice Revel death... French composer & pianist.. 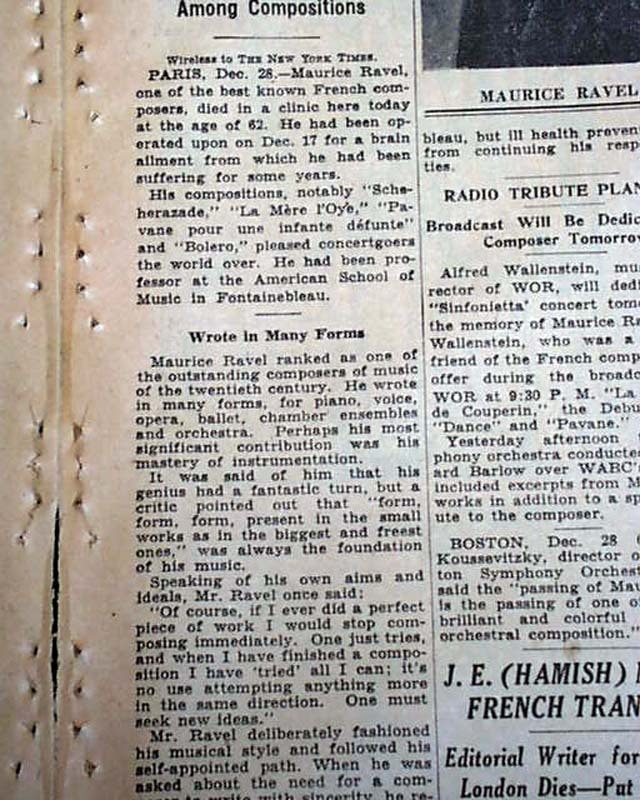 The top of page 21 has a one column heading: "MAURICE RAVEL, 62, COMPOSER, IS DEAD" with subheads and photo. (see) I suspect this is one of the few publications to report this particular event as other titles in our inventory do not. Other news, sports and advertisements of the day. Complete with all 42 pages, light toning at the margins, nice condition. 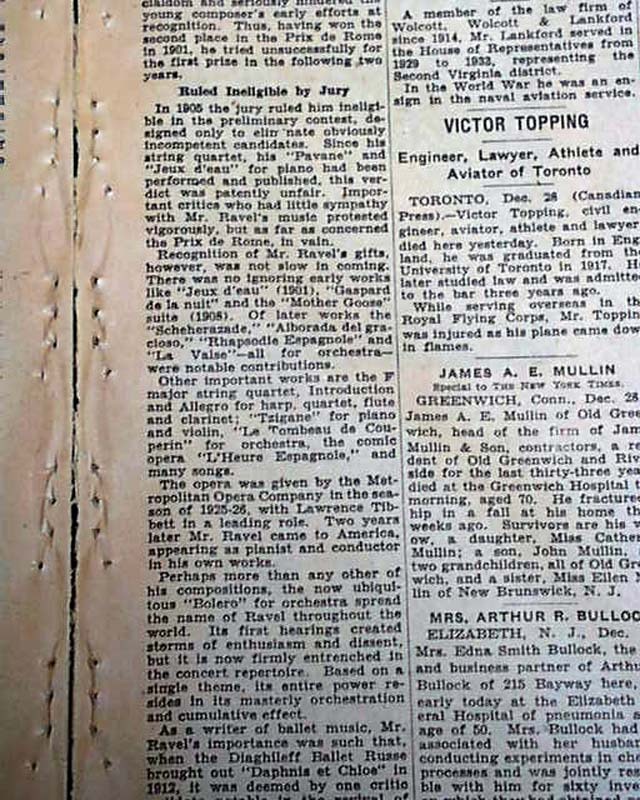 wikipedia notes: Joseph Maurice Ravel was a French composer, pianist and conductor. He is often associated with impressionism along with his elder contemporary Claude Debussy, although both composers rejected the term. 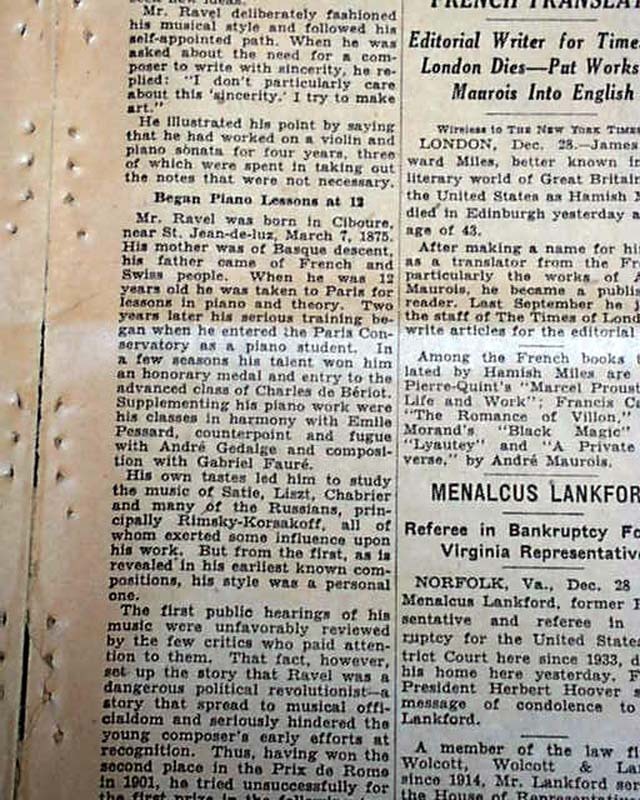 In the 1920s and 1930s Ravel was internationally regarded as France's greatest living composer.